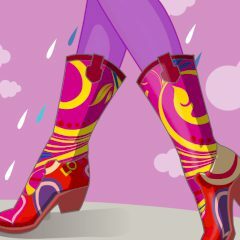 We hope you don't remember the time, while everyone has similar not very nice rain boots! Now everything has changed and rain boots are in fashion! Want to have a pair of cute shoes? Go and play right now!